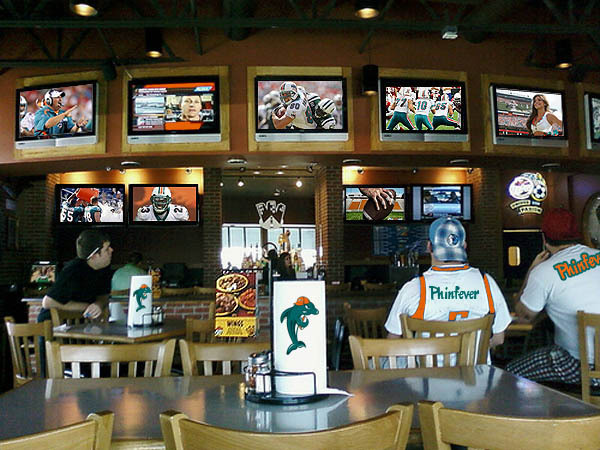 We hope that you will join us Sunday at 1pm (come sooner if you would like) for the Dolphins/Packers game. The Phinfever Sports Bar (chat room) is embedded in our forum, so, you will have to be logged into our forum before you can access the chat room. From what I understand, Firefox works best with our Flash software. I use Google Chrome for the chat. Internet Explorer 8 users have connection problems. If you are looking for a streaming link to watch the game or a radio station, we can definitely tell you where you can go to get it. The best thing is getting together with other Dolphins fans around the country and sharing your observations on each play.